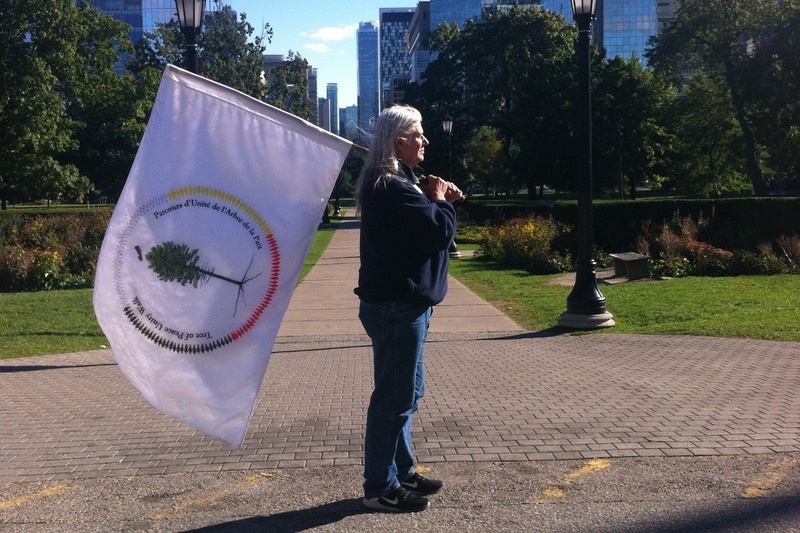 We will plant 44 Trees of Peace (White Pine) in communities across Canada during the Tree of Peace Unity Walk. It will call by petition, the planting of a National Tree of Peace on Parliament Hill in Ottawa at the conclusion of the walk. The first leg of the National Walk begins on the Highway of Tears starting from Prince Rupert to Prince George, British Columbia, on Thursday April 25, 2019 in memory of the victims of the Highway of Tears. Along the route of the Highway of Tears Walking Thunder will be planting 25 Trees of Peace (not including the 44 Trees of Peace) in honour of each of the women. He will be continuing the walk across British Columbia and across the country and will culminate when Walking Thunder has walked the across the country and arrives in Ottawa in the autumn of 2019. Walk. All people are welcome to join Walking Thunder during the different phases of the Tree of Peace Unity Walk.